Blue Moon Furniture- Blog-Coffee Table Match-Making Event: What your coffee table says about you. Drink Coffee with us while discovering the right coffee table for your personality. Now until Saturday, September 16th. 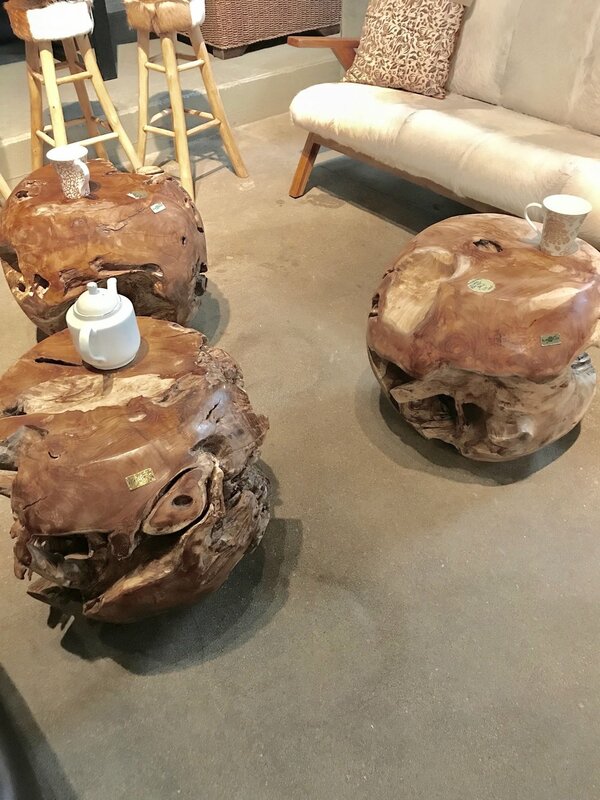 Authentically Sculpted Teak Root Coffee Table. You are an environmentalist but an urban one. You gravitate towards a lot of texture like tweeds and woods with a lot of grain while staying within very streamlined shapes. You are a modernist, you like clean and simple lines but you need your space to have soul. You don't like to commit unless you commit to something with a little flexibility. You gravitate towards pieces that are multi functional, that can be moved around and played with on a whim. Authentically Sculpted Teak Root Balls. You are a world changer, a super hero. Just like in Iron Man's cliff top mansion these pieces breath life into your ultra modern environments. You have an expansive vision for how you can impact the world, starting with your home. You know what you want and how to get it. You take charge of your world and environment with passion so that others want to follow along. You find yourself setting trends instead of following them. 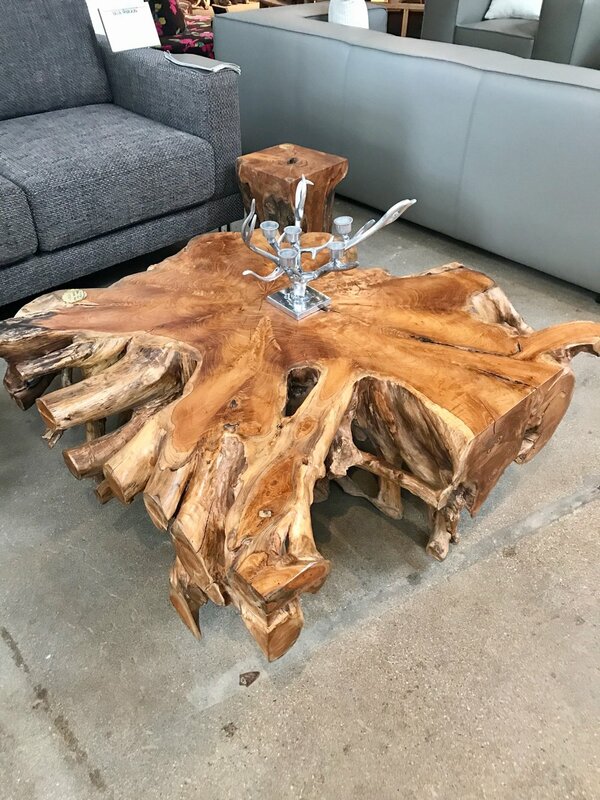 Majestic Live Edge Coffee Table. You are a competent, professional visionary. You are always looking to the future to create and impact the world in positive way. We can't wait to see you and help match you with your dream coffee table.